I KNOW what you're thinking...isn't it a little early for Christmas? Head out to any of the shopping centres in Edmonton and you'll see holiday decorations already on the shelves. Turn on the television and Christmas ads are already in rotation. And now, head out to Sir Winston Churchill Square in mid-November and see that Edmonton is welcoming the season with open arms. 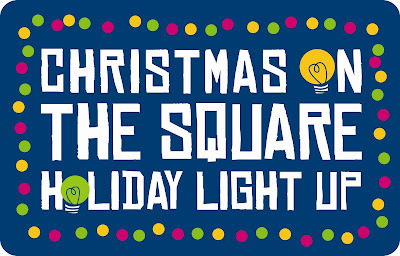 The Downtown Business Association and the City of Edmonton have partnered up to celebrate the holiday season with "Christmas on the Square Holiday Light Up!" Mayor Stephen Mandel and special guest Santa Claus will pull the candy cane switch on Saturday, November 14th to light up the giant Christmas tree, to kick off a series of events in the Arts District. The newly-renovated Art Gallery of Alberta will also feature on-site light displays, and the Square will offer warm drinks, Christmas choirs and various other entertainment showcases from 1:00 to 6:00PM. You can stay right on the Square and take in the 104th Street City Market for some shopping, and there will be a fireworks show as well. Santa's Anonymous will be on site to collect new toys and books for underprivileged children, and food donations will be accepted from the Edmonton Food Bank as well. For more information on the day's events call 780-424-4085. Thank you! That was not made clear in the original "press release," but we've made the changes in the post.